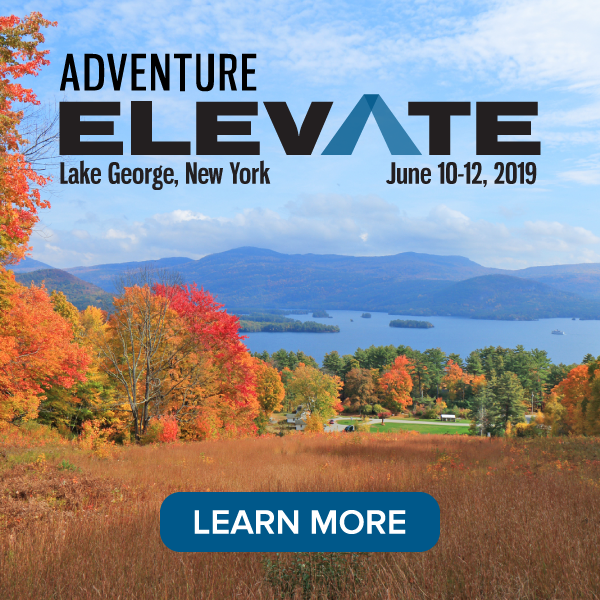 Women are key decision makers in household buying, and the adventure industry has known for several years women make up 50 percent or more of all commercial adventure travelers. 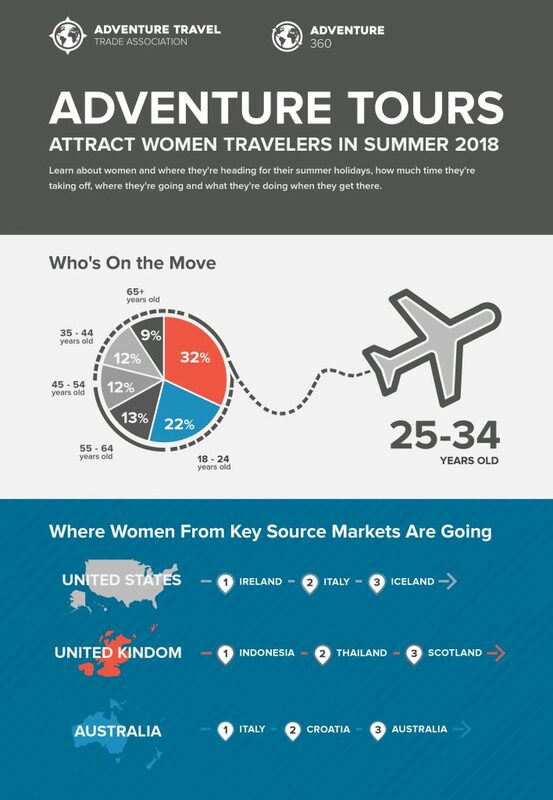 In partnership with travel booking platform TourRadar, the Adventure Travel Trade Association (ATTA) took a closer look at what women travelers are doing with their time off this summer, comparing select findings with ATTA research trends as reported by adventure tour operator members and event participants in the report, Adventure Tours Attract Women Travelers In Summer 2018. Leading destinations for women booking on TourRadar for their 2018 summer travel are (1) Italy, (2) Scotland, (3) Croatia, (4) Ireland, (5) Iceland, (6) Greece, (7) Canada, (8) Thailand, (9) Spain, and (10) Egypt. 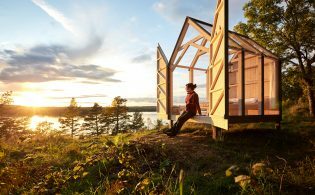 Reinforcing the popularity of countries such as Iceland and Thailand, the ATTA’s 2018 Adventure Travel Trends Snapshot also recognized Scandinavia and Southeast Asia as trending destinations for adventure travelers. Regions noted as trending by adventure tour operators in the ATTA’s network that did not make TourRadar’s top list include Southern Africa and Eastern Europe. Women on TourRadar’s platform ages 25-34 years old comprise the most frequent traveling demographic (32 percent). 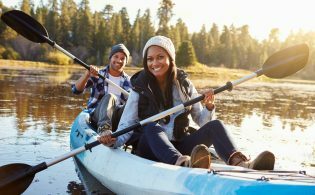 Not surprisingly, comparing this with what commercial adventure travel companies report indicates people booking via TourRadar constitute a younger traveler population. According to the 2018 Adventure Travel Trends Snapshot, the average age of adventure travelers booking directly through commercial adventure companies is 49 years old. Women booking through TourRadar appear to be taking longer trips (9.5-10.5 days) than the average commercial adventure traveler booking direct through ATTA member companies (7-8 days). 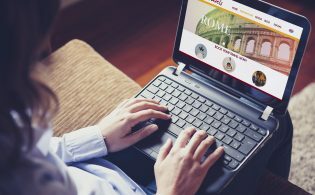 Construct a nuanced understanding of the travelers that matter most to your business along with strategies to reach them by comparing data in the ATTA’s tour operator database with patterns and characteristics visible via platforms such as TourRadar. To learn more about how you can gain deeper insights into the dynamics most valuable to your business, send a message to ATTA Research Services at [email protected]. Please continue to provide us valued information and updates on our industry! Our hard-hat is of to Adventure Travel News. Happy Trails…and, your timing is perfect for us…planning new, increased touring options for this segment.